The images in this gallery document the Goleta Depot preservation project up to and including the moving of the landmark building to Lake Los Carneros County Park on Nov. 18-19, 1981. A companion gallery covers the remainder of the Depot Project, following the relocation until the building was reopened in October 1982. 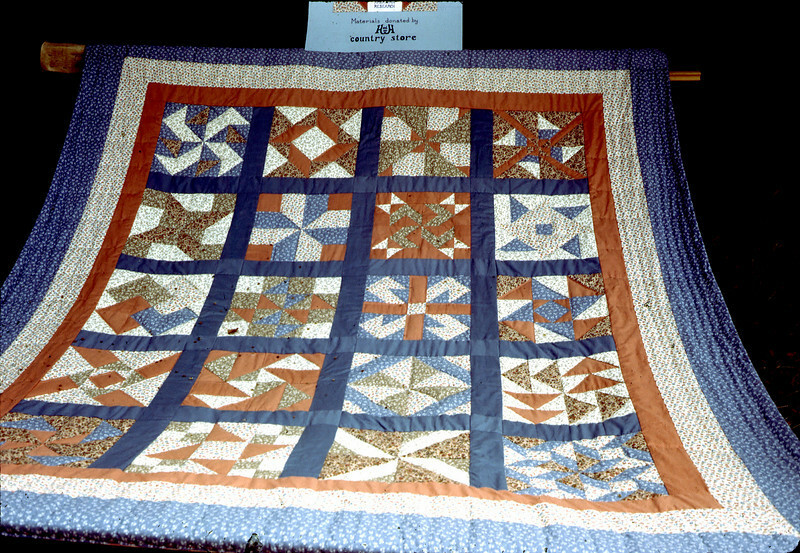 Volunteers made this quilt for the Depot Project. A raffle was held as a fund-raiser.